News – Page 5 – MedHospAfrica-Kenya, Tanzania, Africa Medical Importers Directory. 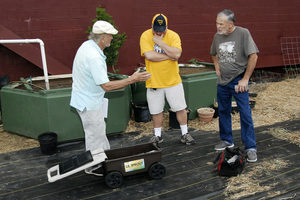 A local team that will be traveling to Uganda on a religious and medical mission met with Roger Ethier, Technical Director of Engineers Without Borders International at the Ranson Civic Center where Either designed pumps for the Community Garden. Ethier invented a solar powered water pump that is lightweight, portable, and can move 180 gallons an hour. Ether’s engineering skills have been put to the test in some of the most remote and inhospitable locations in the world. Pastor Tom Snyder and his “right-hand man” Mick Marpole met with Ethier and had many questions. “This could be a life changer,” Snyder said after seeing what the small package could do. The team was able to purchase a pump at a discount with non-profit Engineers Without Borders paying the difference in order to support the mission. The pump is built to withstand the elements. It will be placed in a part of the world where there aren’t any spare parts or home improvement stores. “This is all prime stuff, the pumps, the relays. They don’t corrode, they don’t fail. The whole idea is (when) we bring them overseas they got to work,” Ethier said. The pump is AC/DC and can work non-stop using A/C. Using solar power only can produce 720 gallons between charges. That can be used for drinking water, crops, or for the medical team. Many local churches have supported the mission in Africa and purchased land. Some of the land was used to plant corn to feed the orphan children. Water is a necessity in the hot dry climate. The pump can provide water to the dying crop. “There is nothing like this at all in the market,” Ethier said. He holds the patient on the ‘Lil Sprout Portable Solar Pump’ invention. “This could be revolutionary getting it into the right hands of the right people,” Snyder said. In a press conference held at CAF Congo Town office over the weekend, the Executive Director of the Foundation, Fatu Gbedema, named the J.J. Dossen Memorial Hospital in Harper, Maryland County, C.B. Dunbar Medical Center, Gbarnga, Bong County, Government Hospital, Grand Bassa, C. H. Rennie Hospital, Kakata, Margibi County, the Curan Lutheran Hospital of Zorzor, Lofa County and the Gbeapo Health Center in Fish Town, River Gee County as facilities that are expected to benefit. 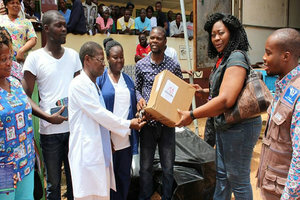 Madam Gbedema said the donation, which falls under the CAF Health Infrastructure Support Project (CHISP), is part of the foundation’s effort to support and improve healthcare delivery in Liberia. She disclosed that the distribution of the items, which ranged from comprehensive sets of surgical equipment, catheters, gauze, bandages, examination beds, gloves, gowns medical furniture and consumable and non-consumable medical products, started at the C.H. Rennie Hospital and C.B. Dumbar Maternity Hospital on June 14, 2017; to be followed by the Liberian government Hospital in Buchanan and the Curan Hospital in Zorzor on June 19 and 20, 2017 respectively. “In spite of the rainy season and the current road conditions in Liberia, CAF is doing everything humanly possible to deliver the last batch of our health infrastructure support project donation to the South East before the 27th of June. The CAF team will be in Fish Town, River Gee County on June 24, 2017,” Gbedema noted. She added that as part of monitoring and evaluation mechanisms put into place for the proper use of the items by the hospitals, CAF has included itself, the Ministry of Health, and community leaders in the hospital locales to conduct unannounced spot checks to ensure that the equipment and supplies benefit the estimated targeted one million people whose lives will be touched by the donations. Speaking at a turn over ceremony at the C.H. Rennie Hospital in Kakata, the Chairman and Founder of the Cummings Africa Foundation, Alexander Cummings, asserted that health is one of the cardinal sectors of the country which needs lot of support and he and his family were glad to help. “The health sector needs lots of support. And I believe primary healthcare is one of the key ways you can help many Liberians,” Mr. Cummings averred. For her part, the Medical Director of the C.H. Rennie Hospital, Dr. Kumblytee L. Johnson, is describing the donation as a timely intervention, thanking CAF and promised to use the items for the intended purpose. She explained that the hospital caters to 130 patients daily from across Margibi, Grand Bassa, Gbarpolu and Montserrado Counties, and performs over 25 minor surgeries including cesarean, hernia among others. “With all what you have given, I am sure that it will help us tackle the problem of delay in catering to the needy people that you have brought these materials for. We assure you that we will use it maximally,” Dr. Kumplytee averred. The Administrator of the C.B. Dumbar Hospital expressed his gratitude upon accepting supplies from CAF and termed the donation as timely. 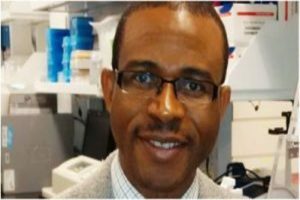 Liberian medical doctor and scientist, Dougbeh Chris Nyan, is among the top ten nominees for the African Innovation Foundation (AIF) Prize for 2017. A release posted by AIF online indicates that Dr. Nyan represents Liberia among other African countries, including the Democratic Republic of Congo, Zimbabwe, South Africa, Kenya, Nigeria, Morocco, Egypt, and Uganda. The AIF includes Dr. Nyan among the nominees for his discoveries in healthcare solutions. He is regarded for developing a new technology for rapid detection of many infectious diseases using only one test. His profile shows that his discovery of a rapid diagnostic test can detect and simultaneously differentiate at least three to seven infections at the same time within 10 to 40 minutes. The AIF team is especially interested in Dr. Nyan’s discovery in the healthcare area because it observes that in many African countries, there is a lack of sophisticated diagnostic devices and limited expertise in high-tech diagnostics. According to AIF, this impedes the clinical decision-making ability of healthcare providers. “This test provides a solution to this clinical problem, and the innovation is easy to use in any setting and in rural areas,” AIF said. AIF notes further that the device invented by Dr. Nyan is able to detect and distinguish multiple infections bearing the same symptoms, pointing out cases of yellow fever, malaria, and Ebola as examples. “Whereas most testing methods take 3-7 days, this device gives test results in 10-40 minutes. This would provide a significant step in the detection and management of infectious diseases on the continent,” AIF noted. “We are pleased to share with you the names of our IPA2017 nominees as we continue on our mission to catalyze the innovative spirit and unlock untapped potential in Africa. “For the first time, this year’s nominees include innovators from Democratic Republic of Congo, Liberia, and Zimbabwe. Moreover, given the instrumental role African women play in transforming Africa, it is thrilling to see more women among the 10 nominees with game-changing innovations. “By providing platforms to recognize innovation excellence in Africa and mobilizing for African innovators, we continue to live up to our credo of engaging, inspiring and transforming. The inspiring stories of these nominees remind us that innovation and African-led solutions are indeed the answer to Africa’s growth and prosperity,” said Walter Fust, AIF’s chairman of the Board. The nominees will be contending for the award in Accra, Ghana on July 18. According to the AIF release, the innovators have demonstrated incredible proficiency through innovative solutions and addressing challenges in agriculture, value chain, healthcare, energy, communications, service industries, as well as surveillance using drone technology. IPA is the premier innovation initiative on the African continent offering a grand share-prize of US$185,000 and incentives to spur growth and prosperity in Africa through home-grown solutions. IPA has seen tremendous growth in applications and increasing interest from both innovators and innovation enablers over the years. To date, IPA has attracted more than 7,500 innovators from 52 African countries, making it a truly Pan-African initiative. IPA’s 2017 edition witnessed a record number of entries from over 2,530 innovators across 48 African countries. The foundation has supported past winners and nominees with approximately US$ 1 million to move their innovations forward. Due to exposure generated by IPA, past winners have gone on to secure over US$30 million in investments to grow and scale their businesses. “Over the years, IPA has stimulated impactful and market-oriented innovations aiming at changing lives and transforming Africa. In this sixth edition, we want to promote more investment in home-grown innovations as well as intra-African collaboration and trade to allow the scaling up of viable innovations across borders. We are excited for the opportunity to work with our partners to ensure the innovations of the 10 nominees will be available to African markets and beyond. We invite you to join us and unlock the potential of African innovators, starting by investing in these 10 nominees,” said Pauline Mujawamariya Koelbl, IPA Director. 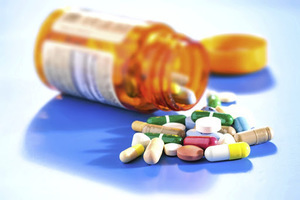 In addition to the functions of evaluating applications for registration, SAHPRA is empowered to liaise with other medicines and medical device regulatory authorities or institutions in order to obtain information and exchange information with such institutions in respect of “matters of common interest” or “a specific investigation”, and enter into agreements with such institutions in order to further the objects of the amended Medicines Act. 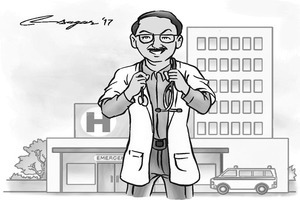 One further consumer-driven aspect of the Medicines Act, as amended, is the introduction of the term “vigilance”, which is arguably closely related to the provision of the Consumer Protection Act, No 68 of 2008. 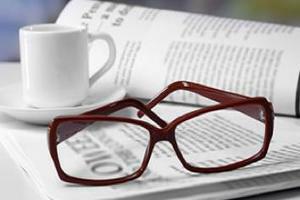 The term “vigilance” is defined in the Medicines Act as, in relation to a medicine, medical device or IVD, “the continuous monitoring and evaluation of its safety, efficacy and performance profile and the management of any risk throughout its life-cycle”. Omnicell, Inc. announced that its robotic dispensing solutions company, MACH4 Automatisierungstechnik GmbH, has been recognized by the German Healthcare Partnership, the Federation of German Industries, and the Biotechnology Industry Organization of Germany for its efforts in innovation to provide better access to pharmacy services in South Africa. The Federal Minister of Economics and Energy, Brigitte Zypries, presented the Company with the German Global Health award at the Allianz Forum, Pariser Platz in Berlin, on May 17. MACH4 Automatisierungstechnik GmbH was recognized for its Pharmacy of the Future project. 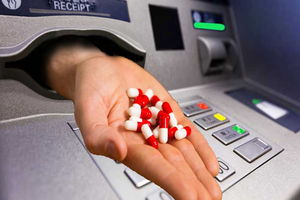 Pharmacy of the Future places robotic dispensing systems, with Patient Dispensing Units (PDUs), in shopping centers to improve access to medicines in South Africa. The program was developed in partnership with Right to Care, Right ePharmacy, the Department of Health South Africa, The Deutsche Gesellschaft für International Zusammenarbeit GmbH and USAID. Goals of the project are easier accessibility and decreased waiting times in outpatient pharmacies for patients with stable but chronic conditions. Patients without access to these systems have to travel to clinics and hospitals every month to refill their prescriptions, even if they are stable and do not require medical consultation. Waiting times for these patients can average four to five hours. The collaboration seeks to provide better access and adherence to medications for the estimated 7.5 million South Africans infected with human immunodeficiency virus (HIV). The partnership began as a pilot project that will be handed to the national health system to ensure sustainability and structural adaptability going forward. Healthcare could be an engine for growth in the economy, according to Cimas chief executive Vulindlela Ndlovu. He told journalists there was the potential for specialist health institutions to be established that could attract patients from other countries. He said there was a critical shortage of specialists in Zimbabwe in certain areas, necessitating treatment for some conditions in other countries. Yet there were areas of specialist expertise where, if local specialists came together to establish affordable specialist health institutions, not only could Zimbabweans be treated locally but patients could be attracted from other countries. Addressing journalists at a recent ZimSelector Journalists Insurance Mentorship Programme workshop, he gave an eye hospital as an example of a specialist institution that local eye specialists could establish. At present Zimbabweans and people from all over Africa were being referred to an eye hospital in South Africa for treatment. If eye specialists in Zimbabwe were to establish an eye hospital, they could attract patients from other countries who currently had to go to South Africa, he said. Mr Ndlovu said medical aid societies were playing a critical role in the health sector both in funding medical treatment and in providing health and medical services themselves. He denied there was any conflict of interest in medical aid societies establishing health service facilities. Doing so worked well in other countries. Medical aid societies established these facilities because they wanted to ensure as many people as possible had access to health facilities. Challenges medical aid societies faced included the lack of a common economic tariff agreed to by both funders and service providers, delays in contribution payments, fraud and the costly disintegrated medical practice units, which resulted in high costs, as each service provider charged separately for the services provided for a medical procedure. An operation at a private clinic could results in six different invoices, after the hospital, surgeon, anaesthetist, laboratory pathology and others, such as a physiotherapist, had submitted their bills. In India, he said, included in a hospital package were the services of a whole suite of specialists. He cited the example of a child with a chronic mental disorder treated in India. At the hospital, the child was seen by a neuro-paediatrician, child development specialist, psychiatrist, ophthalmologist, ear nose and throat specialist, speech therapist, occupational therapist and physiotherapist, all for the same price as it would have cost just for the services of a single neuro-surgeon in Zimbabwe. He said Cimas was placing a major emphasis on promoting wellness among its members. Instances of non-communicable diseases such as hypertension, diabetes, heart disease and cancer were all on the rise. Wellness programmes, which included exercise, the correct diet and lifestyle changes such as giving up smoking and reducing one’s alcohol intake, reduced the risk of these diseases. Hence the importance Cimas was according its wellness programme to improve the quality of life of its members and help extend their lifespan. Cement maker Bamburi has offered its retailers a Ksh150 million ($1.5 million) medical insurance cover. The Afya Ya Nguvu deal for inpatient and outpatient cover, whose underwriters are Sanlam General Insurance, is expected to benefit 800 people to reward the retailers’ loyalty. The scheme will be administered by Alexander Forbes. “We conducted a market survey and realised that only 36 per cent of our retailers had medical insurance. Afya ya Nguvu is a direct response to this need,” said Bamburi managing director Bruno Pescheux. Alexander Forbes executive director, James Olubayi urged companies to develop solutions to ease the burden of health costs on their various constituencies, which are critical for the survival of any organisation. “When innovation in product design is applied then one can strike a balance between benefits and price,” he said. Healthcare in Kenya remains a costly affair as most families rely on savings to access health care and are often pushed to fundraise to manage chronic illnesses. The cement maker is the first manufacturer to offer such a service to its retailers in Kenya, where a majority of health insurance schemes are offered to employees in the formal sector. As at January 2017, 6.2 million Kenyans were registered with the National Hospital Insurance Fund, but only four million were consistent with their monthly payments. Informal sector workers make up only 39 per cent of the total workers registered with the NHIF, despite constituting 83 per cent of the over 15 million Kenyan workforce. Kenya has the highest informal sector employment in Africa, accounting for 77.9 per cent of total employment, ahead of Rwanda’s 73.4 per cent Uganda’s 59.2 per cent and Tanzania’s 8.5 per cent according to a 2015 report by United Nations’ Economic Commission for Africa. Medical insurance accounts for only 22.1 per cent of the Kenyan insurance market. 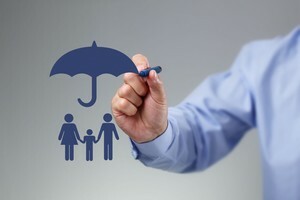 A survey by online health service provider Daktari Africa shows that only 12 per cent of Kenyans are subscribed to insurance programs, translating to 480,000 people out of the country’s over 40 million population. Rwanda has achieved some of the most dramatic gains in health and poverty-reduction in the world. This small, landlocked African country (the size of Massachusetts, but with twice the population) has developed a primary health-care system with near-universal access to clinical care and insurance. Rwanda has reduced both economic and health-care inequality, and demonstrates how “health equity” helps to build strong societies. Rwanda’s government has already pledged $43 million to UGHE in land and infrastructure support. Its leaders have launched a two-year, part-time Master of Science in Global Health Delivery to teach how to create national health care in developing countries. Lecturers from Rwanda’s Ministry of Health, Harvard Medical School, Yale University, and Tufts University taught Rwandan students everything from epidemiology to budget management. Last summer, UGHE began construction on a 250-acre campus in Butaro. This year, 250 professionals from as far away as Mexico and Australia will compete for 25 spots on that campus. Undergraduate and graduate degrees in nursing and oral health, and non-clinical programs in research and health management, are next. In 2018, UGHE’s campus will also be home to a school of medicine. It will provide space for generations of health professionals to learn how to heal patients, comprehend the sociology of disease, and build the health systems that make a strong society. UGHE’s founders believe that, by the time the university celebrates its ten-year anniversary, 480 students will have graduated; another 870 will be earning their degrees; and over 2,500 professionals will have attended executive education courses. They expect that over 1,000 of the students passing through the UGHE’s doors in that first decade will arrive from the rest of Africa, Asia, Europe, and the Americas. Rwandans will invite these international students to visit their communities to observe their traditions and learn how to care for their people. The young men and women will attend Rwandans’ weddings and funerals, learn to prepare and enjoy their foods, and acquire some of their language, the portal through which to view their sturdy values. Rwandans will teach their international guests that in Africa, family is an all-encompassing concept, and that, in Rwanda, an entire generation treats the next as its own children. The international network of UGHE alumni, unified by their commitment to realize health equity for their own communities, will become a global force for change. UGHE will also strengthen Rwandan society. Though regarded by many as one of the safest and least corrupt societies in the world, Rwanda faces a great shortage of doctors and nurses. There are 684 physicians in Rwanda, a total that is far below the 1,182 physicians proposed by the Ministry of Health, and only 27% of the World Health Organization’s recommended minimum of 2,576 physicians. UGHE has already generated jobs, by hiring local laborers, and has increased access to the region, by creating new roads. It could boost Rwanda’s GDP by 0.5% per year, and every dollar invested in UGHE could generate $2 worth of return in economic development, according to McKinsey & Company. Some social scientists assert that poverty is not just a matter of poor nutrition, lack of medical care, and inadequate shelter; it also means exclusion from global networks of trade, science and commerce. UGHE will be Rwanda’s newest institution, a public-private collaboration based on traditional values: community, trust, hard work, and optimism about the future. It will integrate each citizen of Rwanda into global networks of learning. The Rwandans will accomplish this, as they do many things, because they believe that the only investment that can bring infinite returns is in their children, and because graduates of the University of Global Health Equity will be their sons and daughters, too. At a time when struggling Turkish exporters are looking for ways to diversify their target markets, Africa is poised to become the new frontier market for Turkish firms as they position themselves to become major stakeholders in the region’s rapidly growing industries. Africa has recorded an annual growth rate of 5 percent over the last decade and is expected to continue this trend in the coming years. Six out of ten fastest growing economies in the world are now in Africa. Economic predictions indicate that Africa will be a $29 trillion economy in 2050, larger than the 2012 combined GDP of the US and Eurozone. Turkey’s exports to Africa in the last five years have tripled compared to its worldwide export volume, signalling a clear shift in the export focus towards Africa. Exports to African nations increased by 20.5 percent between 2011 and 2015, soaring to $12.5 billion in 2015 from $10.33 billion in 2011. At the end of 2014, Turkish direct investment in the continent stood at over $6 billion. The record decline in exports to the EU, conflicts in Syria and Iraq; two main regional export markets for Turkey, the Russian boycott and the slowdown in the Middle East economy along with increased competition in the region, have been the biggest catalysts to search for new markets. This has lead to many Turkish companies including small and medium-sized enterprises, or SMEs, choosing to head towards Africa, tying their hopes to this new market as the continent presents a lot of opportunities for those seeking new investment options. One of the main reasons why Africa, which has a 2.4% share in the world’s trade, is deemed quite important is the fact that there is major scope for industrialization on the continent. Africa imports nearly 95% of industry materials. Annual imports of the continent surpass $250 billion, which ensures a great investment and export potential in the market. Some of the leading sectors with great potential are textiles, food, agriculture, energy, farm implements, construction and infrastructure services. Automotive supplier industries and agriculture-based industries are also good options for investors. The closed economic structure of Africa has helped lessen the impact of the economic crisis on the continent, generating a great advantage for investors seeking to enter the market. The Turkish government is also forging ties with its African counterparts to negotiate tax agreements and boost trade by establishing links between Turkish firms and promising African markets that include more than 300 million people and a gross domestic product of $350 billion. African infrastructure needs also represent important opportunities for Turkish firms that are ranked among the best global performers and offer regional markets, higher quality options than their Chinese counterparts. Africa offers Turkish investors a predominantly virgin market overflowing with investment and trade opportunities, along with pro-business governments to protect their rights as investors. The continent still craves more investments in various sectors of the economy such as energy, infrastructure, large-scale farming, agro-processing and general manufacturing; sectors in which Turkish firms hold significant experience and technical expertise which could make them critical players as long-term investors, creating a win-win situation for both parties. Africa is currently home to five of the fastest growing economies in the world. According to a global study, the continent’s economy is forecast to grow to $2.6 trillion in 2020 from $1.6 trillion in 2008, fuelled by booms in mining, agriculture and development of ports, roads and other infrastructure. This rapid economic growth is what is creating substantial new business opportunities in the region.